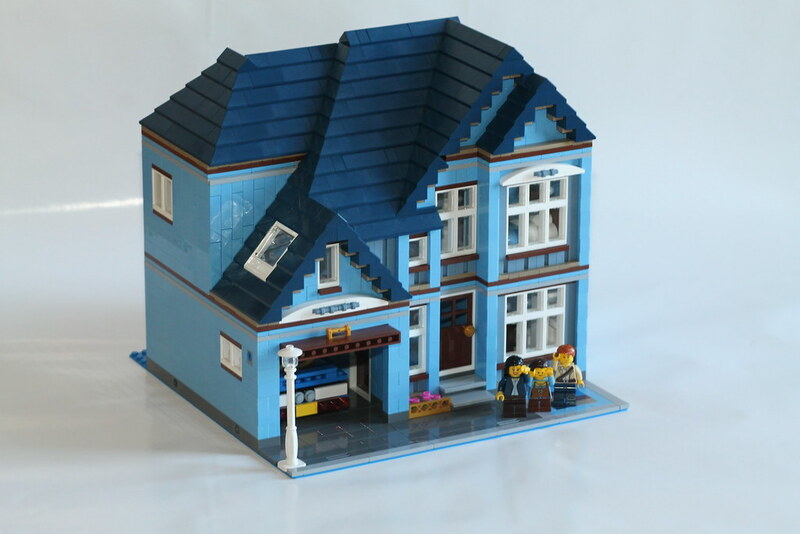 Brick Town Talk: Modular Building Blues - LEGO Town, Architecture, Building Tips, Inspiration Ideas, and more! Azure Drive- (BTT) Here we have what looks to be a lonely suburban modular house. But, one shouldn't always judge a book by its cover. Over here, Flickr user Red Co. Kid has built an entire city block of modular buildings in various shades of blue! From a blue rendition of the Cafe corner, to this great suburban home, it's all there! The buildings feature details such as stoplights, play sets, full interiors, a garage, Olivia's workshop, and even a microscale rendition of the very town that it exists in!